FireWorks Gift Card – Empyrean Brewing Co. Celebrate both special and everyday occasions at FireWorks Restaurant. 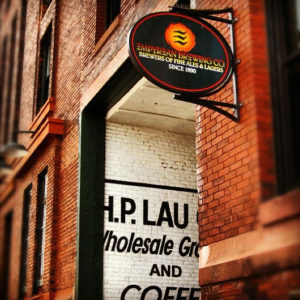 A locally owned independent restaurant, FireWork’s serves a diverse offering of traditional dishes with international flare, each made-from-scratch and bursting with primal flavor. 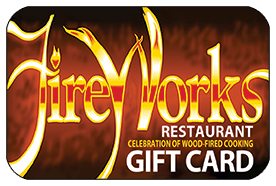 Redeemable only at FireWorks Restaurant, this gift card will never expire or lose value due to inactivity. 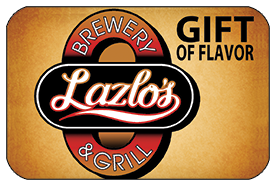 Have the gift card mailed to you, or add a personalized message* and have the surprise sent directly to your lucky recipient. The plastic gift card will be shipped via USPS mail (it is NOT a downloadable print-yourself certificate). *Add your custom message in the Order Notes when you check out.